I am happy to say that I actually got a chance to do some hermitting! 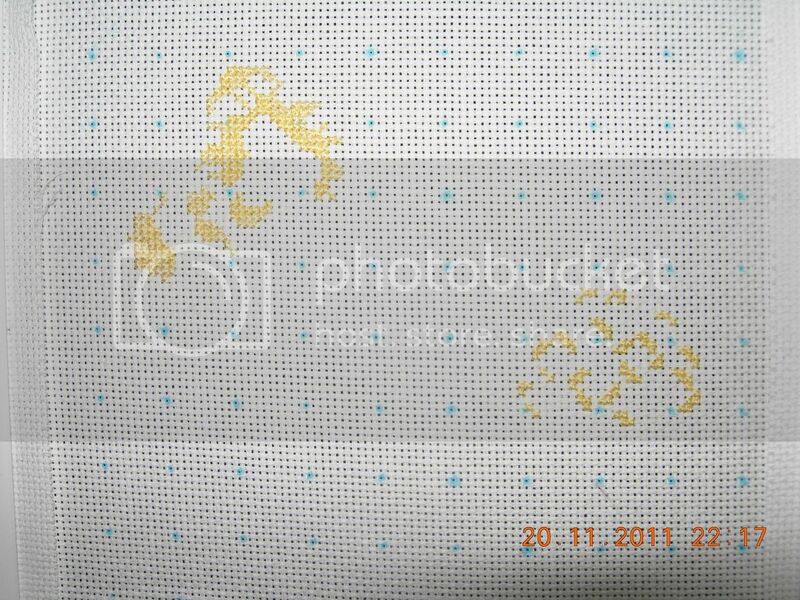 As you can see from my previous post during my Hermit weekend I finished my Caterpillar Baby! And then I also had a chance to start ﻿Baby Hedgehog! The Blue flowers are so bright and the caterpillar is adorable. 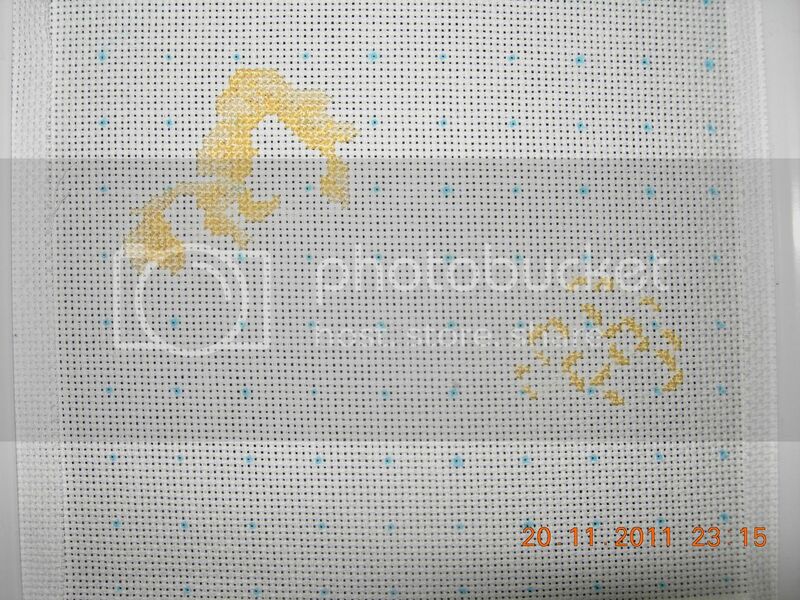 It is a lovely baby sampler. Woooohooooo on the caterpillar finish!!! He's darling. Congrats on a lovely finish and great new start. Love the baby caterpillar it is soo cute. Caterpillar baby came out adorable. Congrats on the extremely cute finish! :) Looking forward to seeing more of Hedgehog. Congratulations on your finish. Well done! 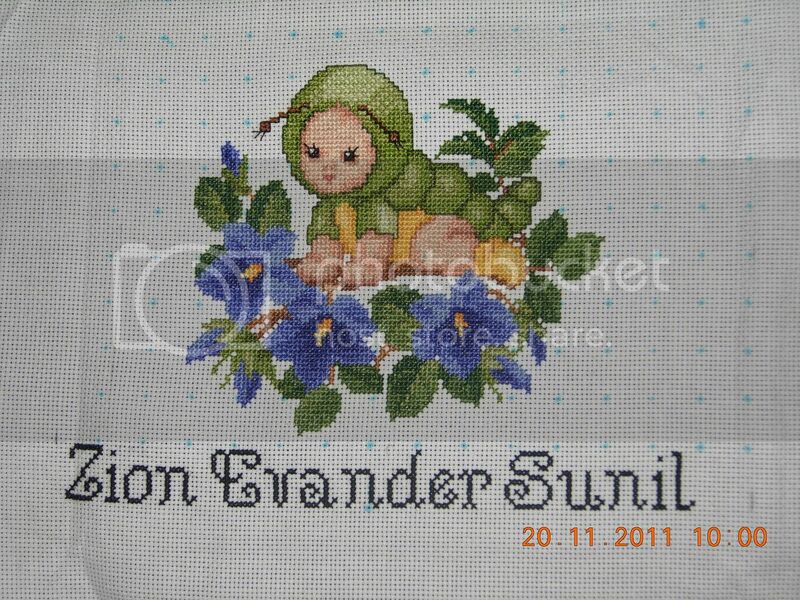 OMG how cute is the caterpillar baby??? 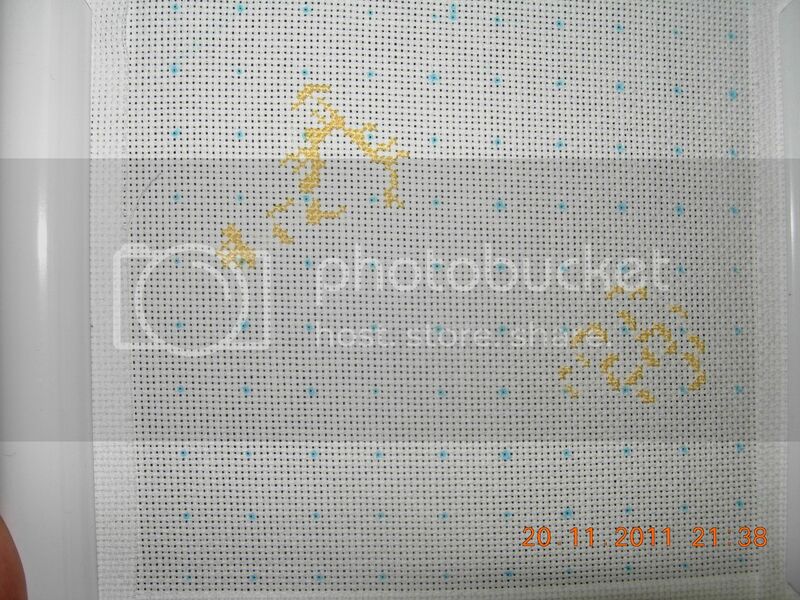 Yes I do believe that's 3 different shades of yellow, sometimes I think we torture ourselves with stitching but they are so beautiful it's worth it! Congratulations on the finish and a new start! Very Cute!! Wow what a lot of work for the hedgehog baby. But i am sure he will be lovely. I think this is my favourite of the three!